Boosting your credit score isn’t as easy as it quite seems and it will certainly not happen overnight. A credit score isn’t a race; it’s something that will not happen quickly. You will need to take your time with to get the best result. Credit scores are more like your driving records. They take into account all of the years of your behaviour and not just your current financial actions. Keeping old debt on your credit report is utmost essential to raise your credit score. Although this may be frowned upon erroneously by some people, it is a great technique. Keeping paid mortgages and car payments on your report are great if you handled the debt well. If the debt was paid off smoothly with no major hiccups this will look great on your credit report. This tip may sound very obvious but it is one of the most important of them all and very understandable. Pay your bills on time. If you are planning on purchasing something major, for example, a house or a car, you might be looking everywhere to assemble one big chunk of cash. While you are juggling your bills, it is also still essential that you pay your bills on time. Even if you are sitting on your savings a drop in your score could smash the dream car or house deal. Not hinting at risk is one of the best ways to improve your credit score. Do not do something that could possibly put it at risk. Indicating risk by taking cash advances or even using your cards at a business may not lower your credit score. However, it can risk it which is equally as bad due to it not being any good! When it comes to credit score do not take any risks or indicate anything that can cause risk because it may as well lower your credit score. When coming to realise you still need credit, you should be laser-focused on making your credit score the best it can. Paying bills and using credit responsibly should reflect your spending behaviours as smart. While your score you get through your bank or an online service may not be the exact same as the one your lender uses, it will grade you on many of the same things and give you an indication of how well you’re managing. 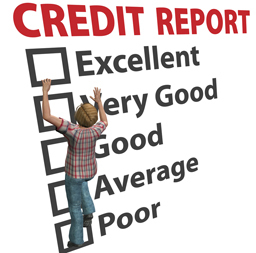 If you are taking a loan out, make sure that your credit score is the best score that you can achieve. Improving your credit score is a long process. It is very time consuming but in the long run, it will be worth it when coming to loans, mortgages and taking out credit. Will you be using any of these tips? If so, be sure to tell us on all our social media which you can find on the bottom of the page!